URDIN and URTOP membranes are integrated with UV resistors at source during the manufacturing process. Exposed membranes therefore provide superior UV degradation resistance. URDIN and URTOP sheets meet some of the strictest European fire resistance regulations. Therefore, both URDIN and URTOP membranes can be used without restrictions under the current building regulations, with BroofT1 and BroofT3 finishes under demand. URDIN and URTOP membranes, when correctly heat welded, homogenise together to become one at molecular level. Therefore, the join is at least as strong as the membrane itself with no weak points. 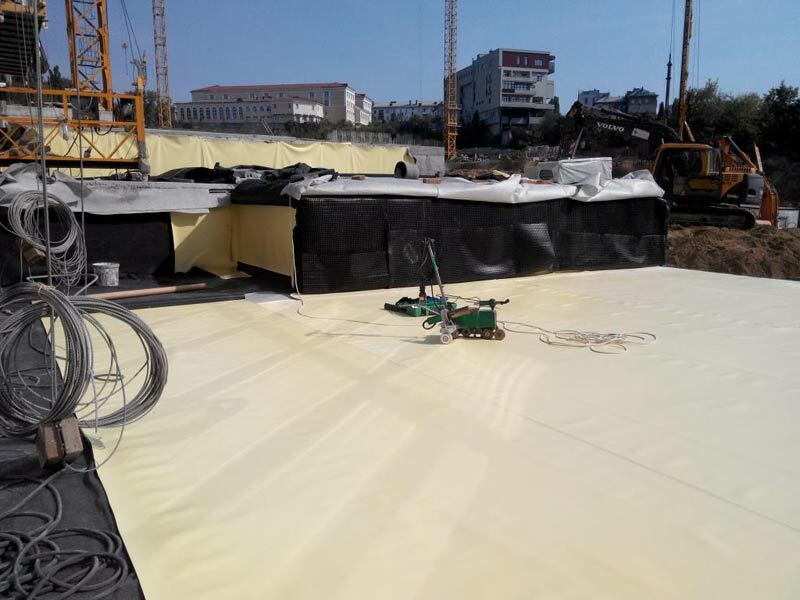 The membrane has been rigorously tested for moisture resistance, behaviour under hydrostatic pressure and impact strength, and classed as leakproof. Under the European standard peel test, the URDIN and URTOP membrane broke outside of the seam without any sign of weld failure. URDIN and URTOP membranes have all been produced to comply with the needs of today’s buildings with regard to structural and building movement. They are dimensionally stable and will repeatedly accommodate normal structural movement without fatigue. 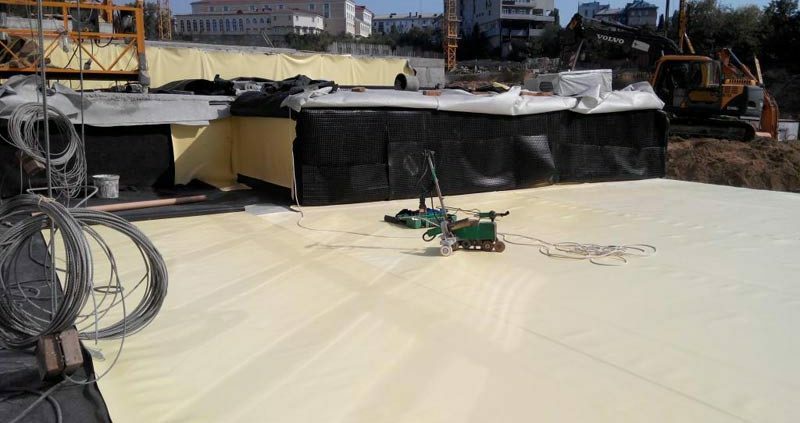 Low temperature flexibility has been tested down to -35 degrees C.
URDIN and URTOP membranes have been rigorously tested by many European testing establishments and have a proven history of success in providinglong term waterproofing to a variety of building designs. The product life expectancy is documented as ‘in excess of 25 years’ and laboratory accelerated weathering tests have shown this to be even greater. URDIN and URTOP materials are installed worldwide in a variety of climatic extremes and show superior performance and durability – a crucial element in environmental sustainability. Extensive roof assured warranty schemes are available that a client can rely on for up to 10 years. For most projects, this covers materials, workmanship, design, product liability and consequential loss, complete with independent insurance backing. URDIN and URTOP membranes are produced strictly in accordance with quality standards. The extrusion process is computerised to ensure consistent quality and all raw materials randomly tested prior to integration and development. URDIN and URTOP synthetic membranes are produced in line with the ISO14001 environmental management system. This policy covers development, raw materials, production, distribution, installation, service and recycling. The product provides a healthy long life expectancy and can be recycled at the end of its useful roofing life. Assembly and seam welding is rapid with low energy output and the membranes lightweight construction minimises transport energy. URDIN and URTOP products therefore have minimal environmental impact, from conception to completion. URDIN and URTOP membranes are fast and easy to install and offer significant reductions in relation to risk with many alternative roofing systems. To compliment the membrane, all specifications are safety conscious with the integration of polyurethane glues (CFC & HCFC free) and even self-adhesive vapour barriers to avoid the use of hot bitumen boilers. This provides peace of mind to building owners and installers and achieved preferred system status with some leading building insurance underwriters. 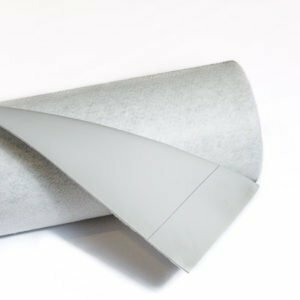 SINTEC roofing membranes come in standard light grey. However, alternative colours are available in white, blue, green, beige, lead grey and red. All colours are tested for colourfastness under UV and sunlight accelerated procedures to ensure long term aesthetic performance. SINTEC can offer everything a specifier or building owner will need. From initial advice and technical support to full roof surveys, detailed drawings, specifications, thermal, acoustic and wind uplift calculations. Our team are available throughout the project to ensure complete client satisfaction.